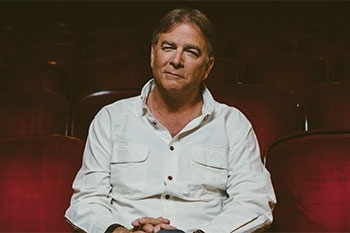 The National Board is pleased to announce American comedian and actor Bill Engvall will be featured at the 88th National Board/ASME General Meeting Wednesday Evening Banquet on May 8, 2019, at The Grand America Hotel in Salt Lake City, Utah. Bill starred in and executive produced his own self-titled sitcom, The Bill Engvall Show, and was one of the stars of the sketch comedy show, Blue Collar Comedy TV. Alongside Jeff Foxworthy, Larry the Cable Guy, and Ron White, Bill was part of the largely successful Blue Collar Comedy Tour concert films, which are some of the most watched movies and specials in Comedy Central history, selling over 9 million units. Bill also has several solo specials on Comedy Central, including Here’s Your Sign (1996), whose album has been certified platinum and held the #1 position on the Billboard Comedy Chart for 15 straight weeks. Bill has written several books, including You Don’t Have to Be Dumb to Be Stupid (1997), Here’s Your Sign (2005), and most recently, his autobiography: Bill Engvall—Just A Guy: Notes From a Blue Collar Life (2007). Bill was a contestant on Season 17 of ABC’s Dancing with the Stars, making it to the finals. Earlier this year, he was a voice actor to his own character in CMT’s animated comedy series Bounty Hunters. Born in Galveston, Texas, Bill moved to Dallas to work as a disc jockey with plans of becoming a teacher. During one evening at a nightclub, Bill tried his hand at stand-up comedy and realized making people laugh was his true talent. Soon after, he moved to Los Angeles and went on to star in the Showtime special, A Pair of Joker’s, host A&E’s Evening at the Improv, and appear on The Tonight Show and Late Show with David Letterman.